The guiding principle behind achieving home organization is that everything has a place. That “place” could be a closet, drawer, cabinet, shelf or plastic storage bin. The real challenge is getting everything into those places. It becomes a matter of habit to hang things up and put things away. It’s a tough habit to break with some people but it is definitely worth the struggle! Getting organized around the house means designating those areas where things belong. However, that can often be a challenge when you have run out of storage space. This is where a call to Junk King Houston can make a huge difference. 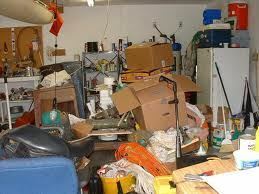 Junk King Houston are the junk removal pros that can be a huge help with organizing your home. Then I can put stuff away for you but they can certainly clear out a lot of space from your garage, closets or basement. The first thing you have to do is decide what you want to get rid of. The reason for doing that before you call Junk King Houston is that you might be able to score a same-day pickup appointment. That means a call in the morning could have your junk cleared by lunchtime. That works if you have some big pieces and you don’t need to sort through your closet. However, you might want to give yourself a few extra days to go through all the storage areas in your home and make sure you’re getting rid of everything that isn’t being used. Remember, you’re going to have a two-man crew and a huge truck to facilitate this decluttering. That pretty much means anything goes. That crew from Junk King Houston won’t have a problem climbing stairs or removing something especially heavy like a sofa. They’ve even been called on to take away a piano or two. If you want it gone that all you have to do is tell the crew and watch it leave by the front door! The cost for this organizing help is very reasonable. You’ll pay a flat fee that will be based upon how much space your junk is going to occupy the back of the truck. The Junk King crew will determine that fee once they’ve looked over all the things you want to toss out. When you agree to the number they’ll get to work at your clutter will be gone in an instant. Just think how organized your home will be without all the junk. Junk King Houston can make it happen. This entry was posted in junk removal and tagged Junk King, junk removal, organized on December 27, 2016 by Marcus Ostrowski. Last updated August 16, 2017 .